No work tonight .. It's snowing outside .. Catching up on my reading .. I love my nice warm cozy bed. Through The Looking-Glass", and Nicholas Sparks: "Dear John"
Books are another source of entertainment for me and I enjoy reading before I go to bed. I find that reading also clears my mind especially if I had a stressful day. One of my favorite books to read are books into movies .. if that makes sense. So two movies that I am highly interested and excited to watch and read are out or coming to a theater .. before I can visit the box office I better finish my books. Thanks for checking out FVNCY.com! All your food posts are making us super hungry! 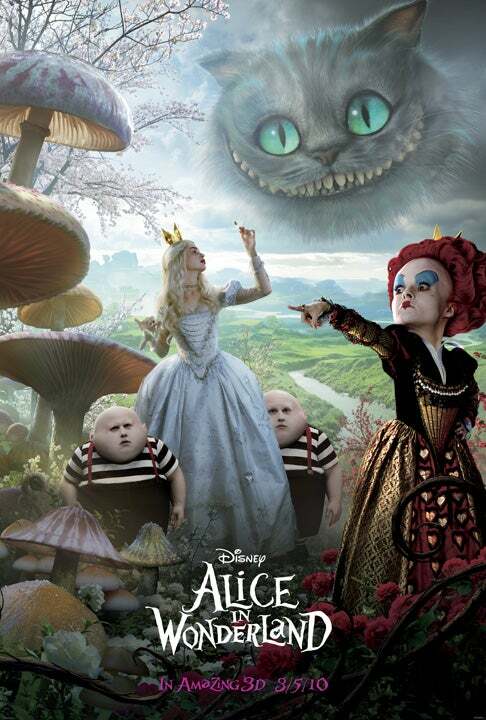 We also can't wait to watch Tim Burton's Alice In Wonderland.